Quality, accomplishment and economy, in that order. These are the reasons I’ve found it worthwhile to build my life around the do-it-yourself philosophy for home improvements, home building and lots of other things. That said, three decades of experience has convinced me that success also requires more than just good intentions. You need to understand and come to terms with three myths that often prevent great do-it-yourself home improvement plans from ever getting off the ground. There’s a natural mystique that surrounds people who are good with their hands, and it’s easy to mistake this for talent. In reality, a knack for laying ceramic tile, shingling a roof or finishing a basement is nothing more than basic knowledge coupled with practice. Being handy around the house is mostly about experience, focus and effort, with natural talent more or less irrelevant. Yes, some people need more practice than others to catch on to manual skills, but that’s no reason to give up before you even get started. Effective, easy-to-understand videos are available on disk or online for those who have a hard time learning from books. Even allowing 10 to 12 hours each day for employment and commuting, that still leaves most of us with at least four hours of discretionary time each day to make good things happen around the house. And even if you devoted only half of this time to working towards your home improvement goals, this still gives you more than 10 hours of productive DIY time each week. Trouble often sets in, however, when distractions bleed away all your DIY time. That’s where a simple DIY schedule fits in. What would your professional life be like if you only showed up for work if and when you pleased? 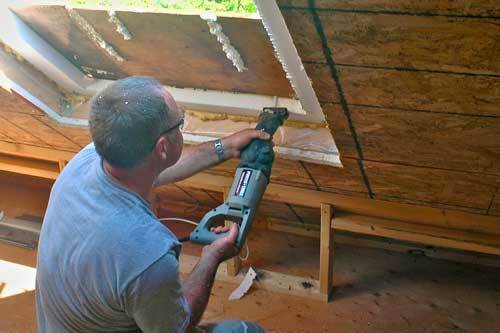 Structure is essential to success in your career, and it’s the same for do-it-yourself home improvement projects. Shut the TV off, tackle DIY work three evenings a week and it won’t be long before you’ll see how a small investment of extra effort yields a huge improvement in your life. It’s good exercise, too. 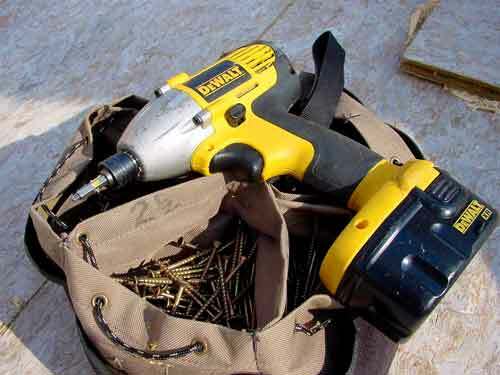 Over the past ten years, more and more cheap, ineffective power tools have appeared on store shelves, and this causes two problems. First, it fools inexperienced homeowners into buying tools that makes success difficult or impossible to achieve. Rock-bottom prices for cheap tools also makes good tools seem more expensive than they really are. Fact is, inflation-adjusted prices of today’s best tools are actually lower than they’ve ever been in history. The quality of internal tool design also varies enormously between tools with the same specs but different prices. I know because I’ve taken them apart to see. Besides design differences, the cost of a pro-grade cordless drill, circular saw, impact driver or mitre saw is an even bigger bargain when you consider how quickly these tools pay for themselves when you’re saving the $25,$ 30 or $50 after-tax per hour you’ll pay for a professional to run them. The world definitely needs professional tradespeople, but there is an alternative when the budget won’t allow you to pay for them. Besides all the technical advantages of the do-it-yourself lifestyle, practical self-reliance is also a very Canadian national quality. More than most other countries of the world, we have a tradition of practical handiness that’s worth celebrating. A little confidence, a little time management and a few solid tools make remarkably good things happen.